Carpe Diem is a 15 hour program specifically designed for college students who have been charged by law enforcement with an alcohol or drug violation and offered a first offender's deferred prosecution by the District Attorney's Office. We use a non-judgmental approach to offer educational groups that focus on risk reduction, alcohol and drug education, replacement behaviors, stress management and self-awareness. 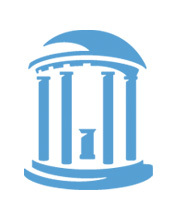 We partnered with The University of North Carolina- Chapel Hill, to develop an evidence-based curriculum and used student feedback to create a unique program specifically tailored for college students. Copyright © 2017 Carpe Diem, All Rights Reserved.